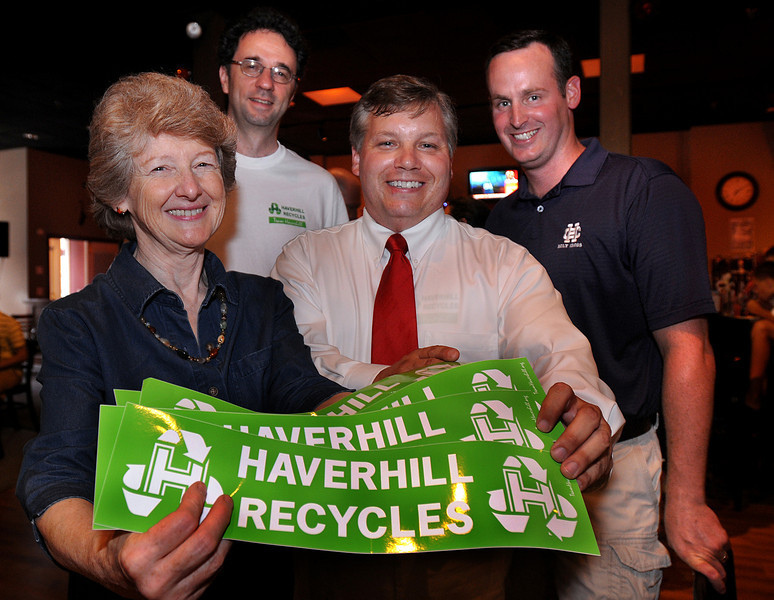 Team Haverhill was instrumental in bringing single stream recycling to Haverhill and continues to work to educate residents about the benefits of recycling. 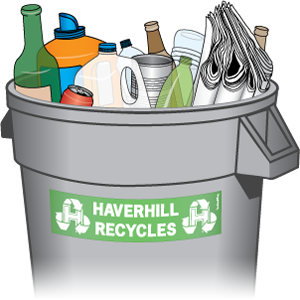 Throughout 2008 and 2009, the Team Haverhill Recycling Committee focused on bringing single stream (also known as commingled or single-sort) recycling to Haverhill. 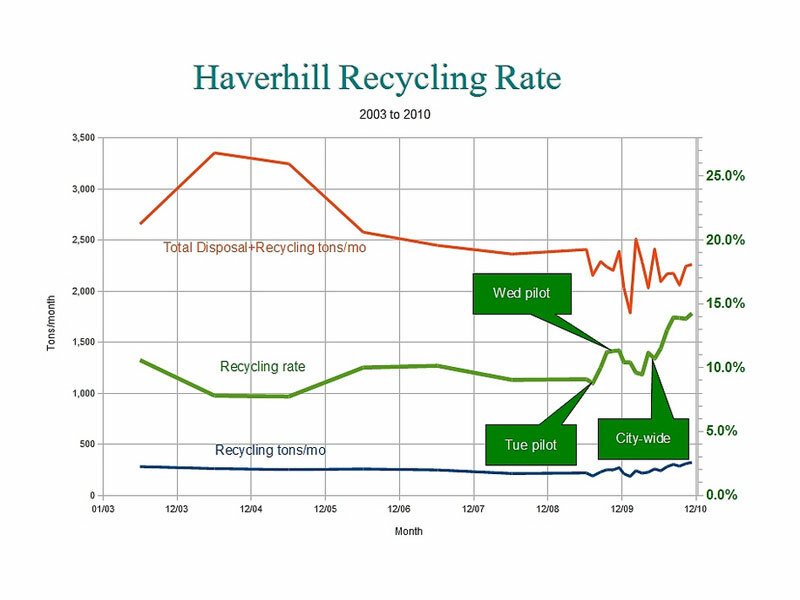 After presenting a study that showed that the city could save money by expanding recycling beyond curbside pickup of paper only, Team Haverhill collaborated with city officials to implement the program. Funding to design, print, and distribute the green and white recycling brochures sent to all city residents. Supplying green Haverhill Recycles stickers for recycling barrels . Educating school students with fun recycling demonstrations. 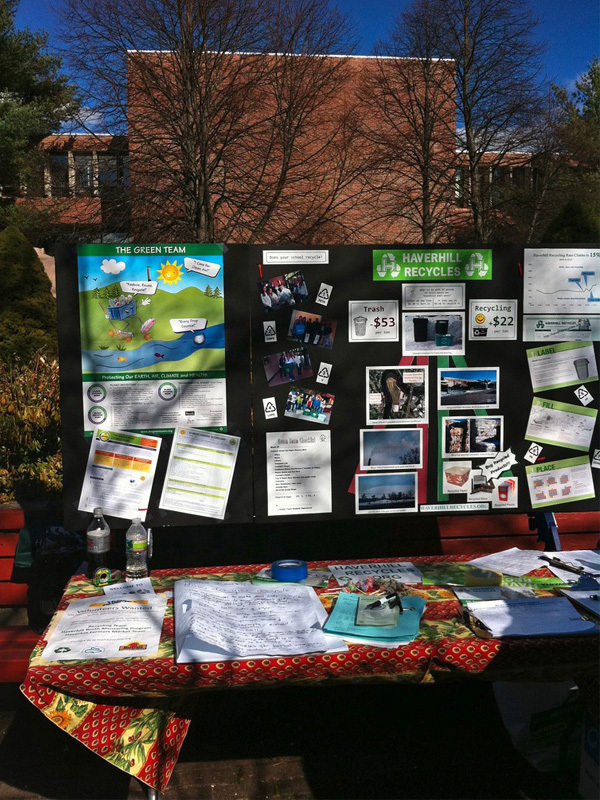 Holding public events at events like Tattersall Farm Day, River Ruckus, and Haverhill Goes Green.